I'm really excited to be working with Renee at Little Explorer's Learning Center, located in Plaistow, NH. The goal was to create a fun, colorful website that would be interesting to look at for both children and parents - but also professional and simple so parents could quickly locate information, registration forms and not have to hold a technical degree. It doesn't happen all the time that you "nail" a concept on the first draft, but after showing Renee this idea, she immediately fell in love and gave the thumbs-up to move forward with her preschool/daycare website. Little Explorer's Learning Center provides daycare, aftercare, pre-school and kindergarten services for towns bordering Plaistow NH, including Haverhill MA daycare, Atkinson NH preschool, Danville NH kindergarten and Hampstead NH. 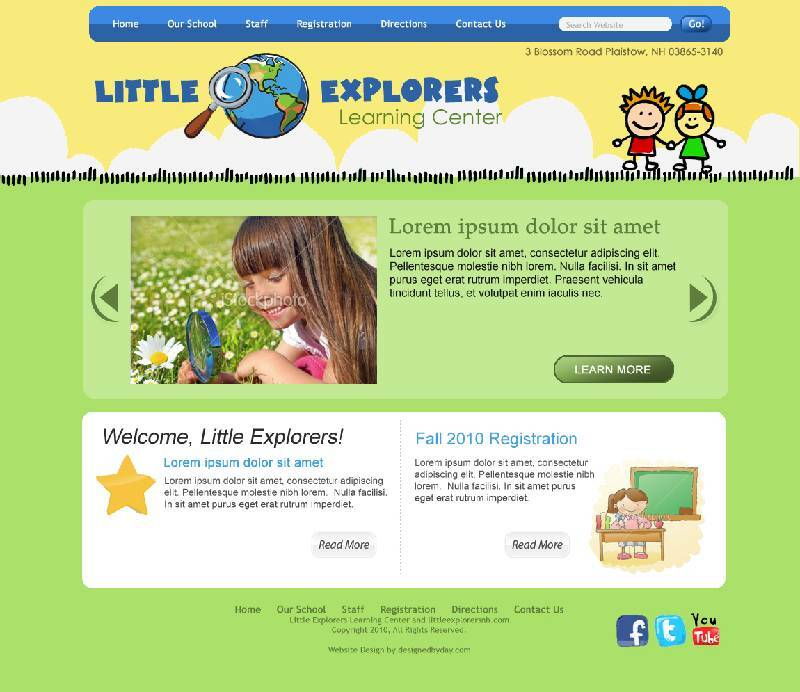 While the Little Explorer's website is still under construction, they are accepting registrations right now. Please email Renee at renee@littleexplorersnh.com to save your spot before they fill.